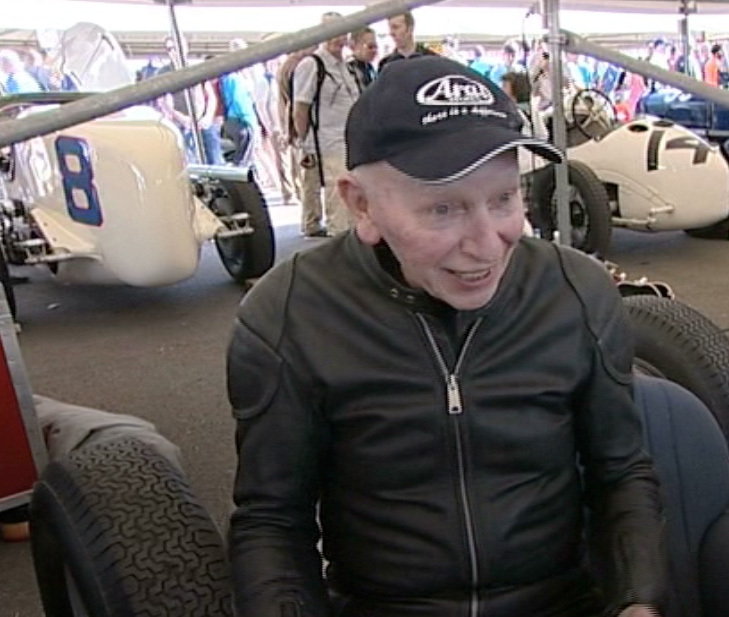 It has always rankled me that the only time we hear of John Surtees is when the specialist media seeks out the frail old man and asks him the same tired old questions about someone repeating his accomplishments. Surtees celebrates his eightieth birthday today and is still the only World Champion to have won on two and four wheels. 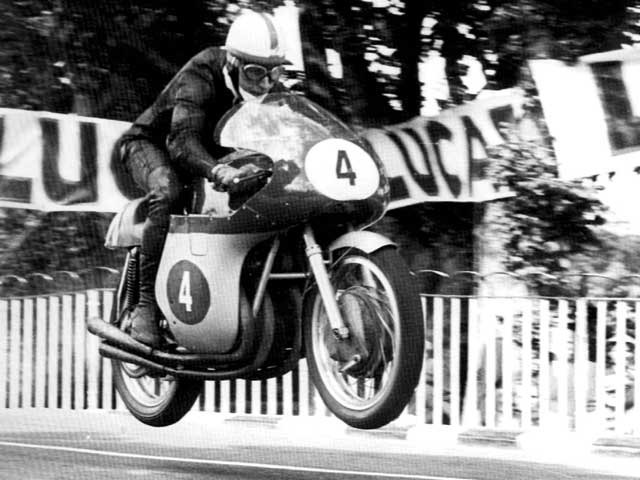 He won seven World titles with MV Augusta between 1956 and 1960 in both the 350cc and 500cc classes and was awarded the MBE in 1959. It was a chance meeting with Hawthorn at an awards ceremony in 1958 which sparked his interest in racing on four wheels. His final year of motorbike races coincided with his first events in cars. His debut was in a Formula Junior finishing behind a certain Jim Clark. He would also finish second in his first F2 race and after a debut in Monaco, finished second at the British GP. His third Grand Prix should have resulted in victory after pole position and fastest lap but his Lotus retired due to mechanical reliability. Surtees was offered team leadership by Colin Chapman for 1961 but found him unethical in conduct and joined Reg Parnell’s team. 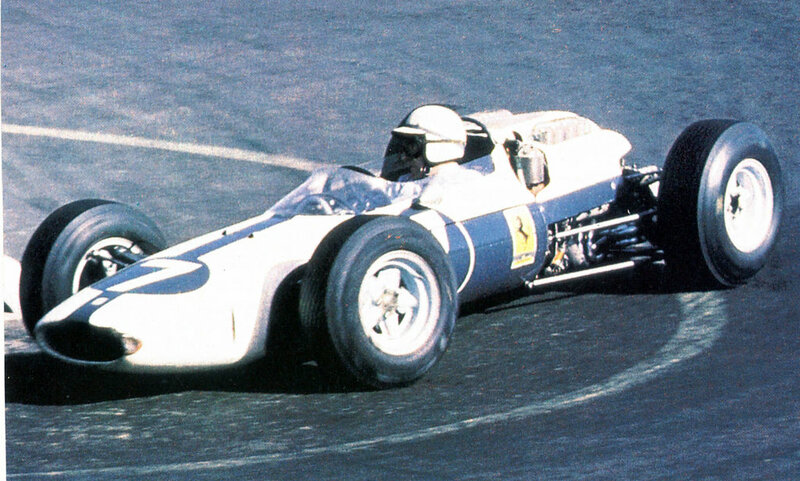 “Il Grande John” had been competing for Ferrari in sports-car races and was offered a seat with the F1 team for 1963. The team had been in disarray since a number of engineers and Phil Hill had left and Surtees set to work to turn the organisation around. By the German Grand Prix that year, Ferrari were back in the winners circle with Surtees winning his first Grand Prix – beating none other than Jim Clark in the Lotus 25. The following season he made history by taking the crown with two victories in Germany and Italy and four other podium places. Surtees had survived a near fatal crash in a sports-car race in September 1965 but was sufficiently recovered to triumph in terrible conditions in the 1966 Belgian GP. Surtees understood Italian racing politics better than most after his years with MV Augusta and Ferrari but Ferrari’s team manager – Eugenio Dragoni – had become jealous of Surtees influence and set about discrediting him. He was omitted from the Ferrari line up for the 1966 Le Mans race and he left the team acrimoniously joining the Cooper-Maserati team. A further win, second and a third were insufficient to win the title and he finished second behind Jack Brabham. His final victory came in the 1967 Italian Grand Prix with Honda when he slipstreamed past Jack Brabham to win by a mere 0.2 seconds. For most of the seventies he ran his own team in F1, F2 and F5000 with differing success before he turned his attentions to building a property company. To this day he still enthusiastically takes part in historic motor-sport events. It’s fashionable to not consider him in the Top 20 drivers in history. There is always a feeling that he was a biker and not a ‘proper’ racing driver, therefore somehow he was fortuitous in Formula One. One of my long time favourites, thank you Carlo. I followed him closely back in his MV days. “It’s fashionable to not consider him in the Top 20 drivers in history” – yet he won races like 1964 German GP at the Nurburgring. Indeed.. although I would definitely include him in my top 30. No one else has matched his 2 wheel/4 wheel achievement! It was while watching a documentary recently about John Surtees in which he did all the narration, that I became fascinated with the development of wings on F1 cars. They suddenly appeared between one race and the next. There were so many amazing drivers during that era – I think the 60’s in Formula One is my favourite decade. Later, when Mike Hailwood followed in his footsteps, I think Mike had more supporters, and yet he didn’t have the same success. I was also interested in his comment about Colin Chapman who I have long been cautious about. He has been for so long regarded as a revolutionary engineer that maybe other sides to his character have become overlooked. And I always wondered why it took him/Lotus several years to see the advantage of the rear-engine concept, after Cooper had demonstrated it so clearly… For a ‘revolutionary thinker’ that was odd. Yes, so what does this mean? Will someone please clarify? Thank you. How? When? Where? Why? What happened? I always thought that it was that Colin Chapman was more concerned with having a light and fast car than his driver’s safety and a lot of drivers preferred to drive in a car that wasn’t so fragile. Surtees was offered the number 1 position at Lotus for 1961 but declined because Chapman was obviously unethical in his dealing with the current no 1 – Innes Ireland – It would have caused hostilities within the team. He also wasn’t convinced by the engineering behind the Lotus cars. He knew they were frail but what most people forget about Surtees, he was a very gifted engineer. He turned Ferrari round and was stating to Enzo throughout that his concentrating on Le Mans every year was weakening the F1 effort until after June. He was taken on by Honda because of his technical ability also. Getting the ‘Hondola’ to Italian GP victory in 1967. The 1968 car was getting even more competitive, until the team brought the new RA302.. which Surtees would not drive, calling it a ‘death trap’.. so what happened at Rouen.. Honda got a local hero to drive, who then promptly crashed to his death in a huge inferno. Honda pulled out of GP racing after that. I thought his team had some promising staff before it shut down? Although I could be thinking of the same thing that happened at Fittipaldi. Lotus produced their first F1 car the 16 in July 1958. They introduced the rear engined 18 in late 1959 ( as a Formula Junior car ), and it first raced in F1 in Feb 1960. That’s only one and a half years …..
Plus Team Lotus and Lotus Cars were in dire financial difficulties at the time, which delayed development. And on JS’s observation of Colin Chapman – the guy was a crook – pure and simple. But why was the Lotus 16 front-engined…? In the summer of 1959, as a very young schoolboy, I ‘designed’ a rear-engined Dragster – 12 years before ‘Swamp Rat’. I’m not saying mine would have worked BUT… I was aware of the ‘concept’. So, my question was: Why did a ‘revolutionary designer’ not see this revolution coming…? Not forgetting a certain Ferdinand Porsche designed the Auto Union in 1933..
in response to your question …..
Maybe he was more adept at tax avoidance and financial irregularities than he was at engineering ? People are often placed upon a pedestal which they don’t truly deserve. ” Colin Chapman is mostly remembered as the man who brought unprecedented flair to British motor racing through Lotus, the company he founded in a workshop attached to his father’s pub. But now, at the 20th anniversary of his death, a rather different picture has emerged. In place of Chapman, the inspirational engineer, we have Chapman as a liar, cheat and drug abuser who was spared a prison sentence only by the fatal heart attack he suffered, in December 1982, aged 56. Perhaps Chapman’s darkest hour came in 1978, when Lotus linked up with the American tycoon John Z DeLorean to develop a stainless steel sports car, to be built in a factory funded by the British government. What the government did not know, but what Chapman certainly did, was that the project was a scam. Around £10 million went missing. Chapman died before the full deceit unravelled but at the subsequent trial of Fred Bushell, the Lotus accountant, the judge insisted that had Chapman himself been in the dock he would have received a sentence “of at least 10 years”. Nice one HWS. Surtees is a big favourite of mine.